Thank you for stopping by American Forklift Rental & Supply located in Orlando, FL. We specialize in forklift rentals for the Central Florida area including Orlando, Tampa, Lakeland, Orange County, Polk County, Lake County, and surrounding areas. We believe that our customer wants solid dependable rentals with a great price and timely delivery. Offering rentals from 3,000 lbs to 15,000 lbs. Renting and rental rates available by the 1/2 day, day, week or month. All maintenance is included in your rental. We keep our rental fleet running smoothly with comprehensive maintenance of all truck systems and components. Our commitment to excellent service encompasses Forklift Parts, New and Used Sales, Safety Training, Service, and Material Handling Equipment. Certified Dealer for LiuGong Equipment. American Forklift Rental also offers new and used sales on a wide variety of forklifts. 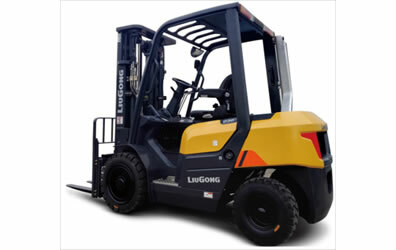 Forklift models include Cushion, Pneumatic, R. Terrain, LP, Gas, Electric or Diesel. Choose your size 42", 54", 60" or 72" inch forklifts. So if you're tired of leasing or having the down time on your purchased forklift, American Forklift Rental is here for all of your rental needs. Mailing Address: PO Box 444 Gotha, FL 34734. Material Handling Equipment Featuring Pallet Jacks, Racking Beams, Aluminum Hand Trucks, Racking, Uprights, Backup Alarms, Forklift Tires, Head Lights and Small Industrial Sweepers. We have competitive forklift rental rates. American Forklift Rental offers Safety Training. Our Safety Training is available as individual or group training. Safety Training is conveniently held at our location or yours. Group Safety Training discounts for large groups.